It doesn’t matter if you’re watching the Super Bowl for the football or the commercials because either way, you’re likely to indulge in the all-day eating event. And with Super Bowl 50 right around the corner, there’s no better time for a round-up that matches every team in the NFL with each of their city’s most loved and famous foods. Scroll through the list below to find your favorites… even if that means accepting a rival’s regional specialty. Food is food, but still, let the games begin. And if you’re throwing your own Super Bowl party, these are the dips your spread isn’t complete without. Imagine this is what happens when a piece of cornbread meets a fluffy pancake. They fall in love, take a trip to the fryer and emerge a perfect, golden brown. 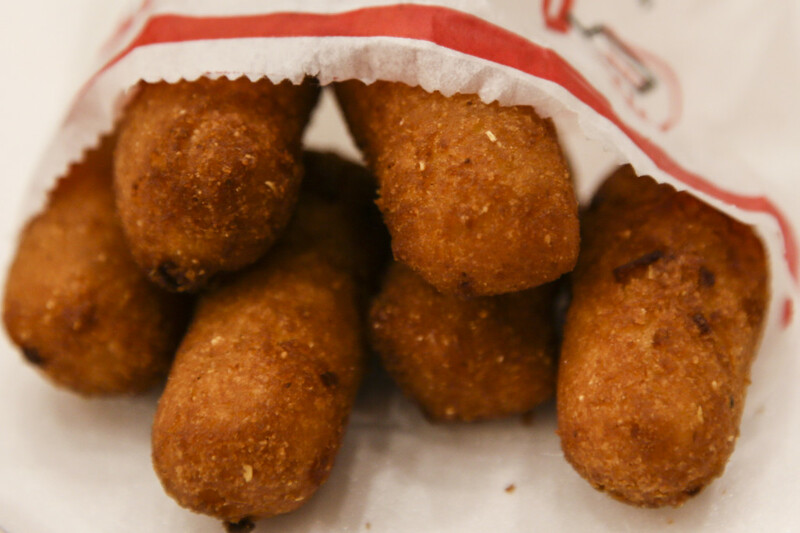 You can eat these hush puppies plain or as many Southerners do, with honey, butter and even ketchup. You also can’t call yourself a Southerner if you’ve never eaten these foods. 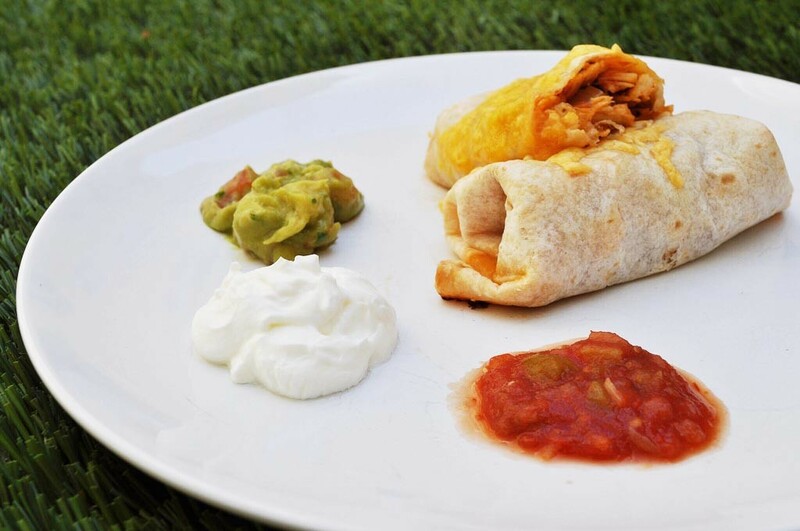 If you like the crispiness of anything fried and the smokiness of Mexican food, you’ll love chimichangas. But eating one of these deep-fried burritos can practically guarantee a food coma for 4+ hours so you may want to try this baked chicken chimichanga instead. This might be a slight trade-off, but you don’t want to miss the game, right? 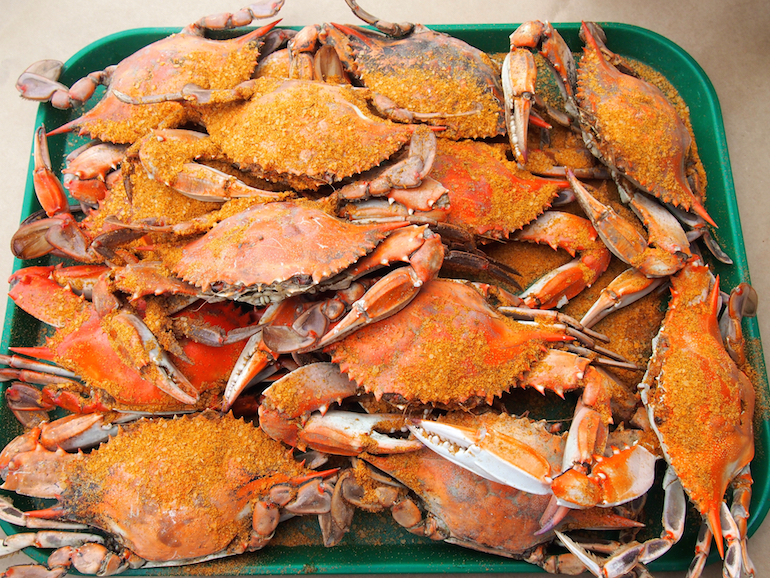 Eating “local” for Baltimore natives means taking advantage of The Chesapeake Bay and steaming some fresh blue crab. Find out their secrets to picking the meat straight from its shell and creating the ultimate addition to eggs Benedict: crab cakes. Buffalo, New York may win in the Super Bowl-friendly finger food category. 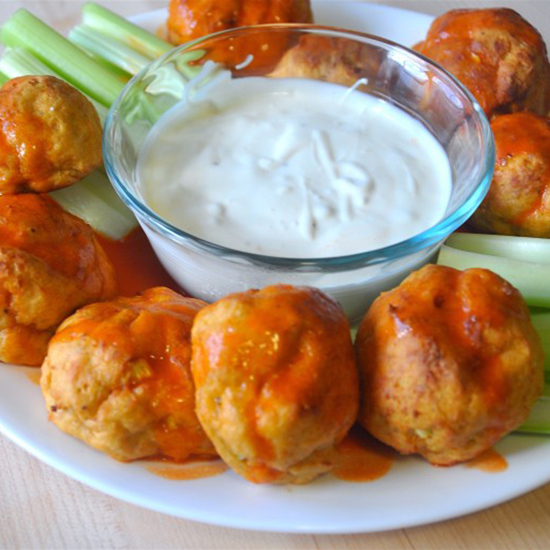 Add this classic American sauce straight to chicken wings or get creative with baked buffalo chicken dip and buffalo chicken meatballs. 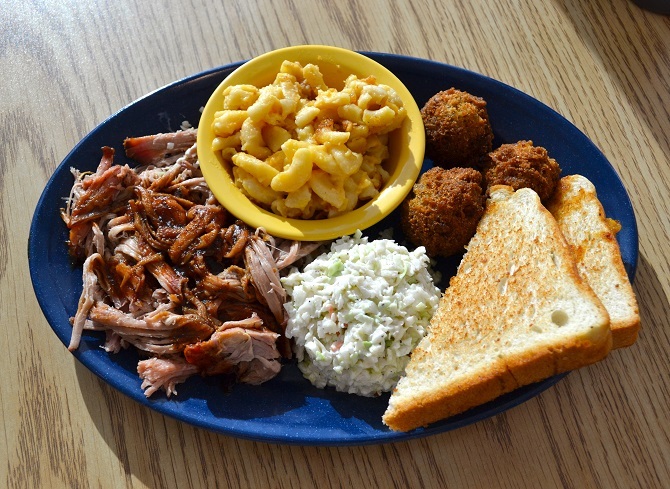 Navigating barbecue in the Carolinas means one thing and one thing only: lots and lots of pork. Their regional style generally starts with smoking the hog whole (sorry, vegetarians) and then chopping it up into succulent pieces. The ‘que is then completed with a not-so-shy amount of their famous spicy, vinegar-based sauce. If you need to know how to navigate southern BBQ, we’ve got you covered. 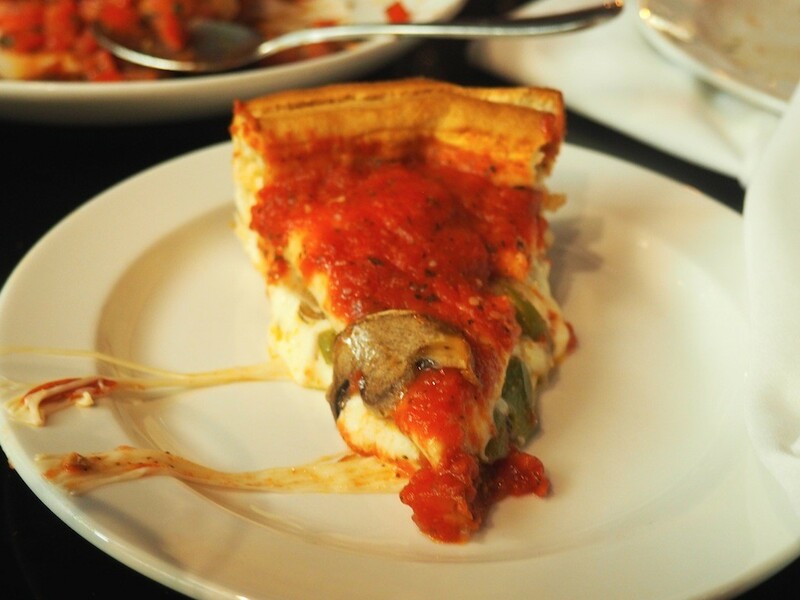 Diving into a deep-dish pizza is pretty amazing for people who have never experienced pizza beyond the classic New York slice. Spoon University writers from Loyola University Chicago dub Lou Malnati’s as the best deep-dish in the Windy City. 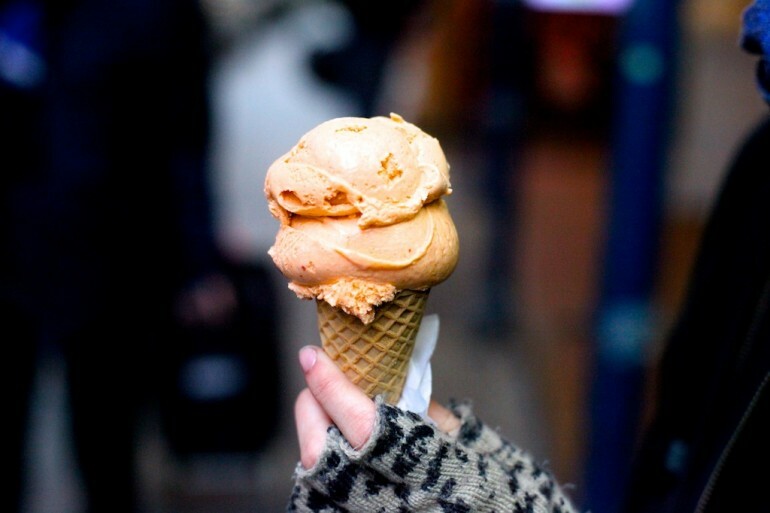 Cincinnati is definitely known for their unconventional chili — spaghetti topped with meat sauce and piled high with cheddar cheese — but they’re also famous for Graeter’s Ice Cream. If you like the combination of fruit and chocolate, you will love their bestseller: Black Raspberry Chocolate Chip. Churn up the volume with Jeni’s Ice Cream, an Ohio-based creamery which became famous for their unique flavors like Brambleberry Crisp and Brown Butter Almond Brittle. 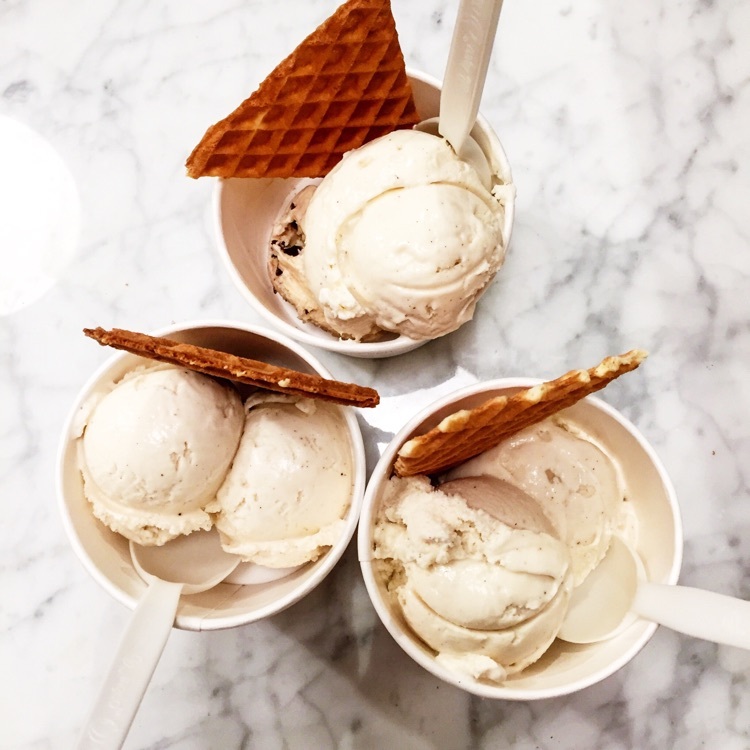 If you’re lucky and have a Jeni’s location nearby (Vanderbilt Spoon writers rank the Nashville shop first on their go-to list for National Ice Cream Cone Day), make sure to treat yourself with a double scoop to experience two flavors at once. Texans are often top contenders in national chili cook-offs. Their love for Southwestern flavors and famous Chili Con Carne seems to be just what judges look for in a meaty stew. 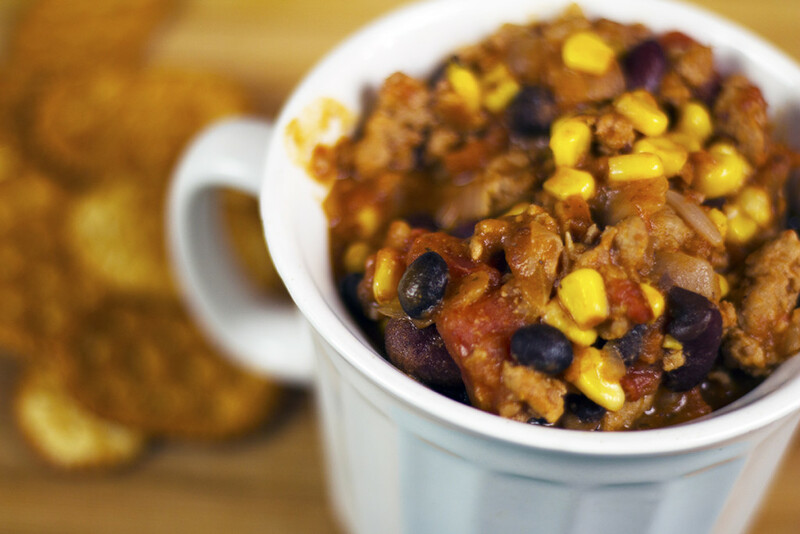 If you feel like taking a break from the red meat but still crave smoky flavors, check out this 20-minute turkey chili. Shout out to this Rocky Mountain city for being home to the first Chipotle. College students love Steve Ells’ approach to the fast food industry so much that they even have their own secrets for creating the perfect order. Check out this list of pro-tips to update your Chipotle experience so that come game time, you’ll be winning all day long. Apple pies epitomize the kindness associated with the Midwest. Anyone who makes them knows that rolling out homemade dough and preparing the apples takes some serious TLC. Take a step beyond grandma’s recipe for the Super Bowl and try these apple pie ice cream sandwiches and these apple pie roses. If you’ve ever been to a Packers game, you know that amidst a sea of green jerseys are giant cheese-shaped hats. “Cheeseheads,” as many Wisconsin locals are called, dually celebrate their state’s high quantity of cheese production while also cheering on their favorite players. Try this cheese-encrusted grilled cheese for the cheesiest game day sandwich. Even if you’re not a die-hard carnivore, the steaks in Texas are likely impress to you. Whether it’s a rib-eye, tenderloin, porterhouse, or flank, any cut of meat is bigger and better in Texas. Intimidated by the protein? No problem. 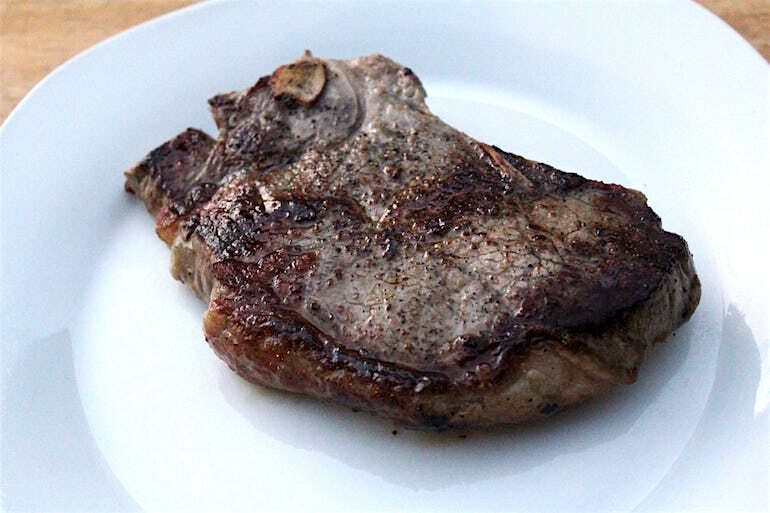 Here’s a foolproof method for cooking a steak. Indianapolis locals celebrate corn in its delicious vegetable state. So follow their lead and fire up the grill and give the cobs a good char. If you’re in a hurry, you might want to know these three ways to quickly shuck and cook corn and this easy recipe for Late Summer Mexican Corn Salad. You can bet that Florida has some of the freshest seafood in the country. Flounder, redfish and mahi-mahi are all popular for fishermen in Jacksonville, but finding a school of tuna is considered a real catch. 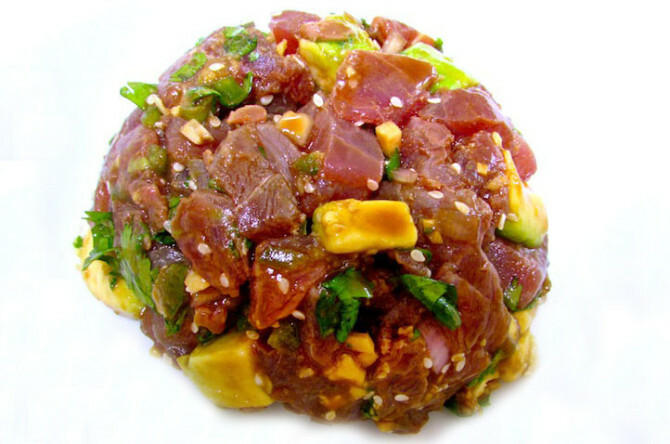 Save yourself the trip to your local sushi restaurant and go with this easy Tuna Tartare for a simple Super Bowl app. Kansas City barbecue sings with its own style. Barbecue lovers slather the sweet, thick tomato-based sauce onto just about any kind of meat. Try the sauce on pork, chicken or brisket, but don’t forget the regional specialty that makes KC pit masters unique: burnt ends. It’s widely known that the Sunshine State yields some of the country’s juiciest oranges. But travel south of Miami to Key West, you’ll find another citrus that gets just as much attention: key limes. Find out how to transform these miniature fruits into an authentic South Florida dessert with this 5-Ingredient Key Lime Pie. 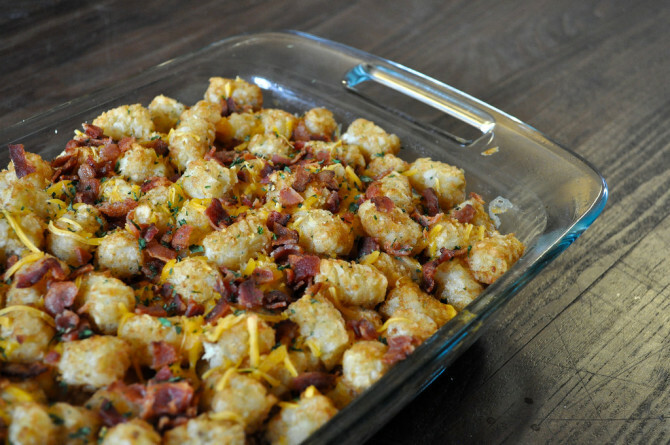 Also known as Hotdish, Minnesota’s delicacy — Tater Tot Casserole — is the retro version of a Super Bowl worthy appetizer. Crispy tater tots, corn, sautéed vegetables and loads of cheese make this comfort food a Midwestern favorite. If you can’t get enough of the tater tot and cheese combo but want to make it relevant for millennials, you’ll love this Tater Tot and Bacon Grilled Cheese in a Waffle Iron. After making it through the freezing winter, nothing hits the spot more for New Englanders than eating a fresh lobster roll. Spoon writers from Northeastern University, Boston University and Harvard rank Neptune Oyster’s version of the creamy seafood sandwich as 25th on their list of 50 things to eat in Boston before you die. Just like donuts, beignets are best when eaten fresh out of the oven and paired with a hot cup of coffee. When in NOLA, follow the lead of Spoon writers at Tulane University and head to Café du Monde for perfectly fried beignets that are doused in powdered sugar. They’re so good that you’ll be dancing — even when it’s not Mardi Gras. New Yorkers’ bread baking skills deserve a huge round of applause from all the carb-lovers out there. 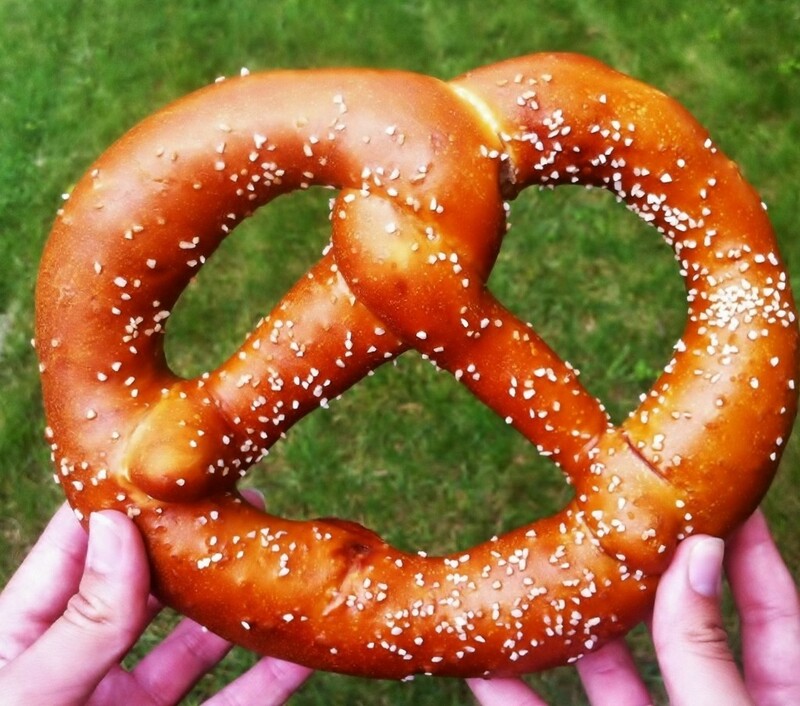 Just like pizza and bagels, the pretzels from New York are in a league of their own. Though you may get salty when finishing your last bite, the fun doesn’t have to stop there. Take this quiz to see which type of pretzel matches your personality, and be sure to check out these foods the next time you’re in NY. The beauty of New York pizza is that regardless of where you get it and how you order it — extra cheesy, thick crust or light on the sauce — you know it’s going to be the best slice of pie you’ve ever had. Get a twist on the drool-worthy tomato sauce, cheese and bread combination with these 27 different pizza mashups. Finding an avocado in the grocery store with a California sticker is like hearing your favorite song from middle school play on the radio – it doesn’t come around every day. So when it is California’s avocado season, consider buying a few extra so you can venture beyond the guac and make one of these recipes that creatively use this luscious fruit. The name says it all. 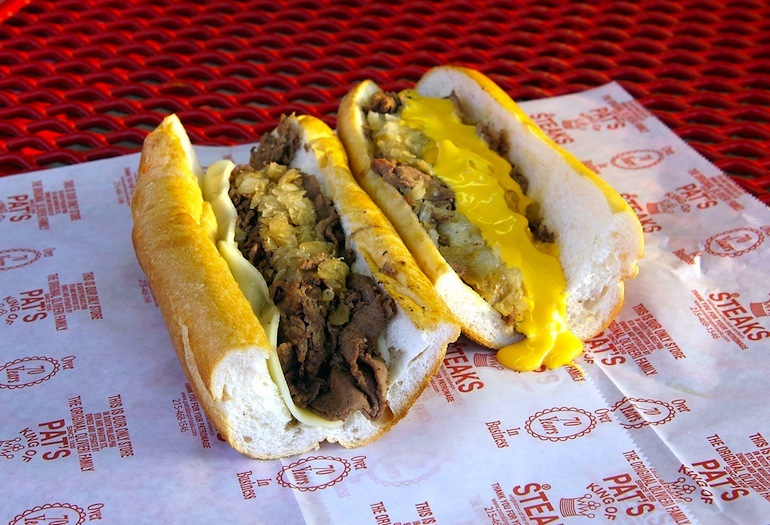 Cheesesteaks are Philly’s claim to food fame and when you bite into the combo of freshly sautéed steak and melted cheese, you’ll know exactly why. This flavor profile is so loved that restaurants around Philadelphia are crafting remixes for different cuisines and cravings. What do you do when your city is home to Heinz Ketchup? Grab some fries or tots and start dipping! 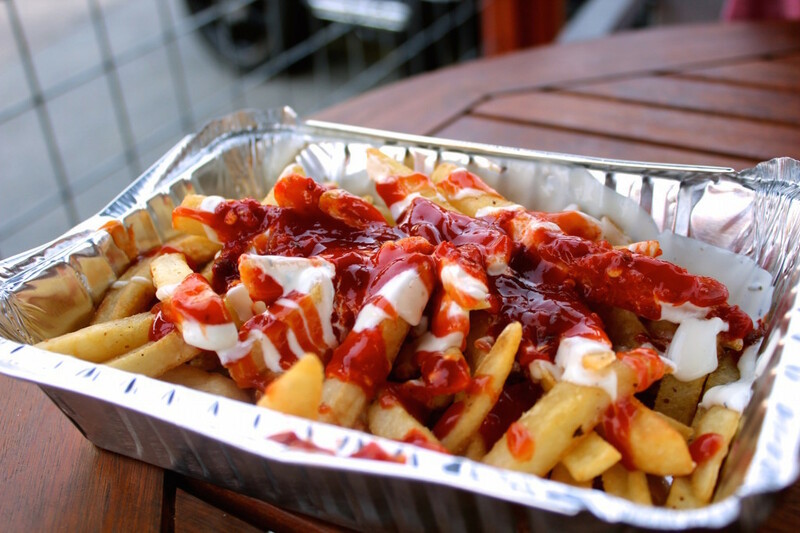 Show this sweet tomato condiment some love by adding extra flavor to French fries with one of these gourmet topping ideas. 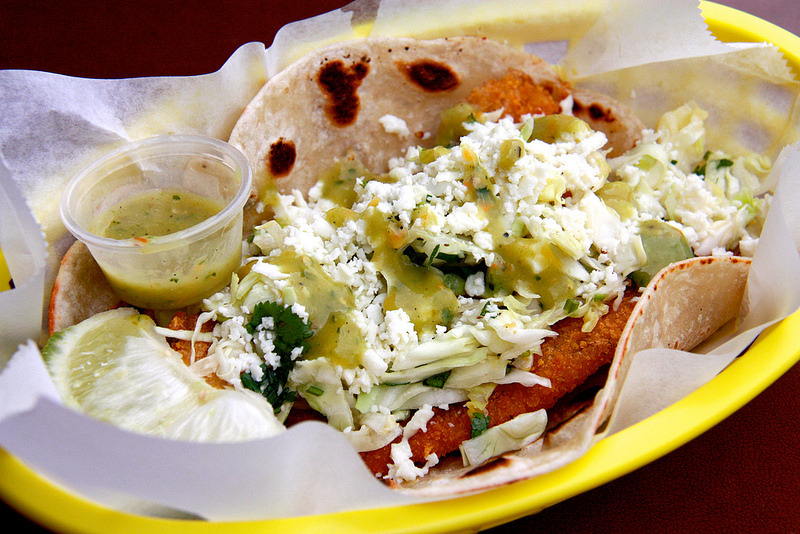 Tacos aren’t just for Tuesdays in San Diego. With a close proximity to Mexico, this SoCal city provides authentic variations of the Mexican specialty with no passport necessary. If you need more ideas for your next Taco Tuesday, check this out. San Francisco may be best known as a leader in tech, but it’s also ahead of the game when it comes to food. 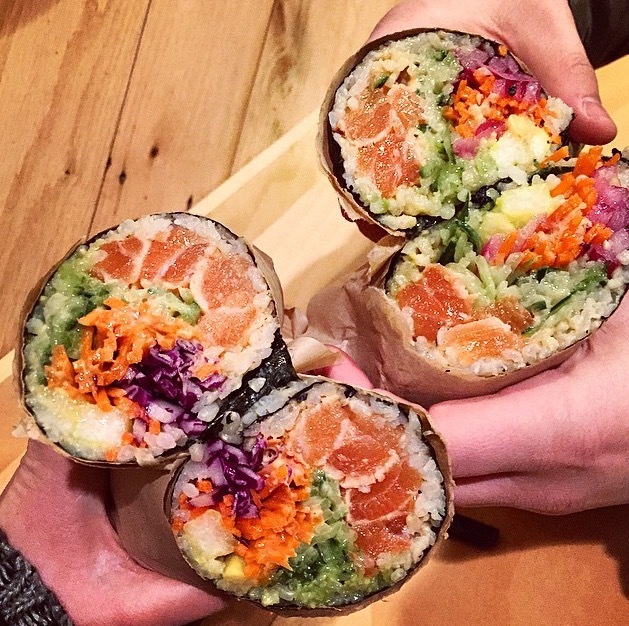 If anyone can think of the genius, sushi burrito hybrid — the “sushirrito”— it’s a chef from the Bay Area. East Coasters, don’t worry about feeling left out because you can make a homemade rendition of this amazing mash-up for your Super Bowl snack. Whether you’re a dark roast kind of person or get extra fancy with a caramel macchiato topped with light foam and extra whip at Starbucks, most of us can think of a time when this Seattle-based coffee shop made a super early morning a little bit brighter. Drinking coffee on game day will definitely get you pumped up, but you can also count on these Starbucks-inspired cupcakes for an energizing game day dessert. 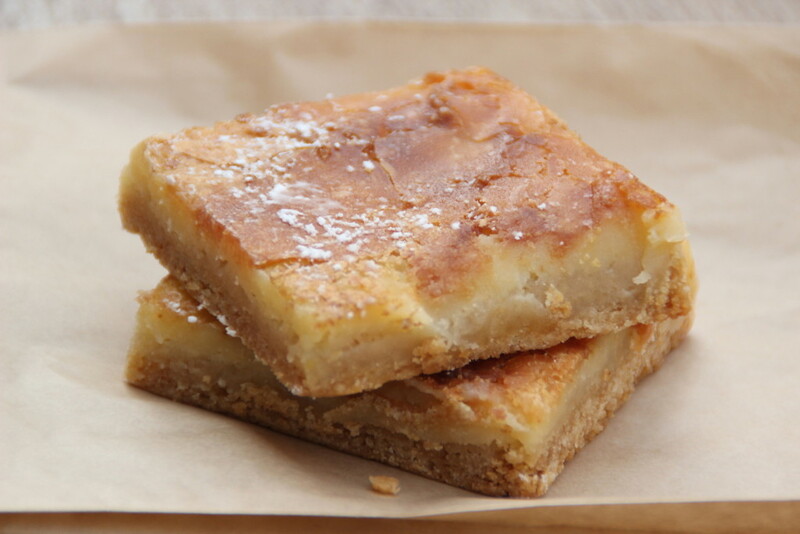 Let us eat cake – gooey butter cake, that is. Get the history behind this dessert and also where to find the best of these cakes in St. Louis. 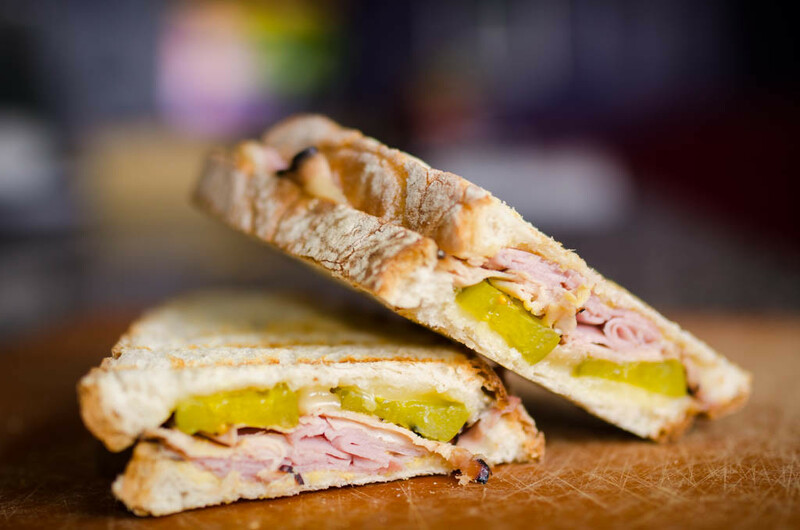 Whatever you do, don’t try to convince a Miami local that Tampa created the Cuban sandwich. The sandwich’s origins are still debated and may cause controversy that could take away from the irresistible combination of salty ham and cheese you have in your hand. If you don’t live in Florida, try making this simple Cuban panini at home. Biting into a warm, buttery biscuit is arguably a life-changing event. And luckily for Tennesseans, this Southern staple is offered instead of bread at many restaurants. Head to Nashville’s Loveless Café — which ranks number one as 27 things to eat in Nashville before you die — to experience the biscuit of all biscuits and some good ol’ southern hospitality. 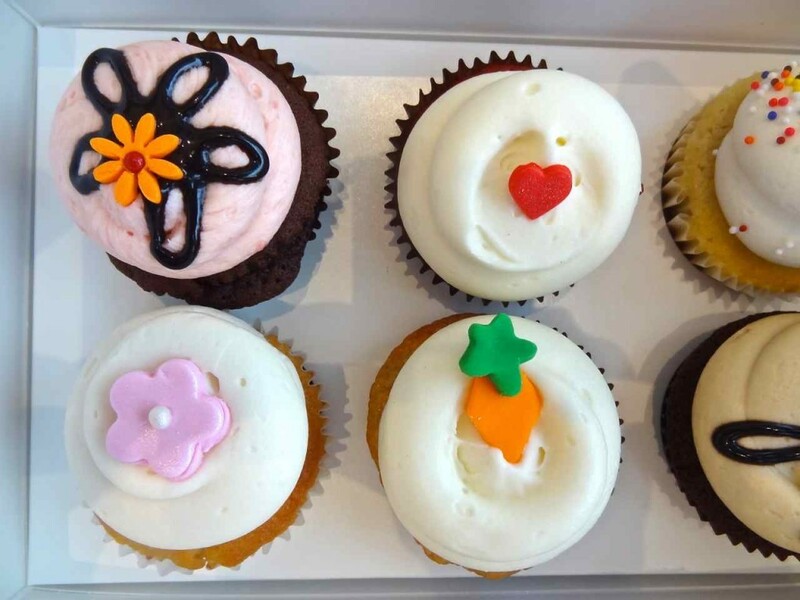 When your sweet tooth strikes, there’s no better place to go in Washington, D.C. than Georgetown Cupcakes. This bakery has the frosting-to-cake ratio down so precisely that they’ve gained enough demand to open five additional stores and ship to cupcake lovers nationwide. Ask American University Spoon writers what they think about Georgetown Cupcakes and they’ll have a simple response: YASSS.